Live Demo Download (234) Free vs Paid? ClearBusiness is a clean, flexible, and fully responsive WordPress theme. The colors are perfect for a professional business that wants to communicate strength, steadfastness, dependability, wisdom, loyalty, and calmness. Its clean design makes content stand out and leave a memorable impression. The theme also provides a powerful admin panel for customization. And it is packed with custom widgets. 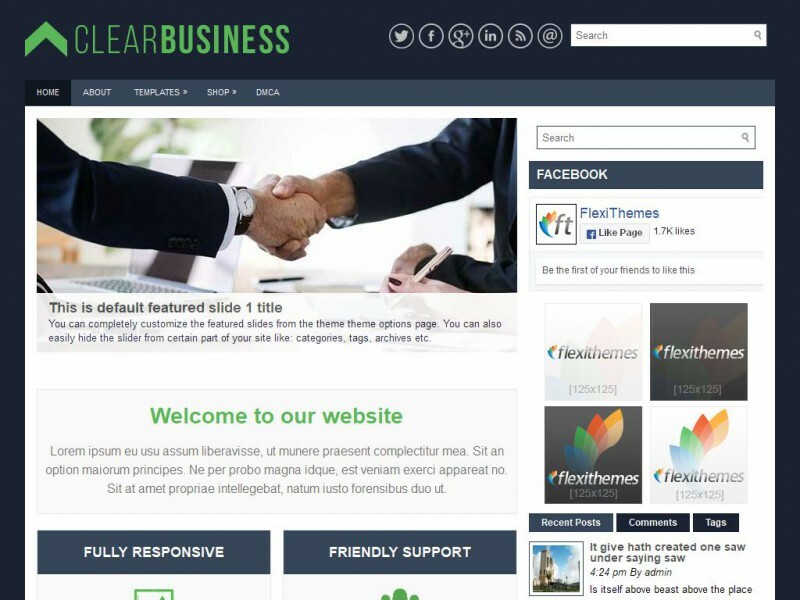 This makes ClearBusiness the clear choice for your next theme.